O Best Beloved was named “Best Of The Fringe” and gave an encore performance at the 2013 San Francisco Fringe Festival... and Joan Howard & Rebecca Longworth were awarded a 2013 “Best Director” Stuart Award. 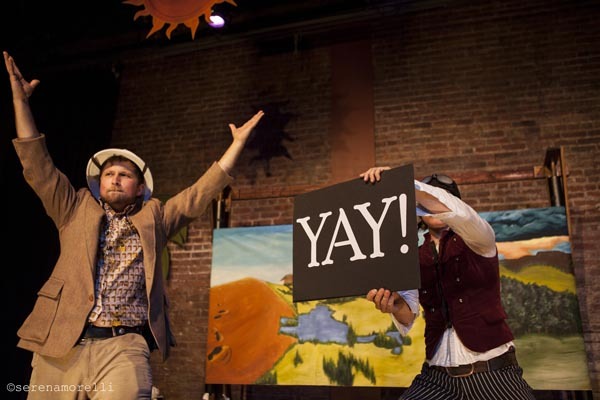 Thanks, SF Fringe and everyone at the Exit Theatre for helping us stage an unforgettable premiere! Here’s a link to SF Fringe Production Photos on Flickr. And a short, 2-minute ‘trailer’ filmed at the SF Fringe.